Be thankful always.. its the simple things in life.. and life is made for living..journey with me**! Felt very sorry for self for the majority of the ride but probably the worst.. not one person offering to help.. it was so weird.. i had 2 mtb'ers stop on my 3rd puncture, i understand everyone wants to do a great time but somehow, this was very discouraging as i begged, it'll teach me to know how to take my back wheel out :( I missed my MTB baaad today. 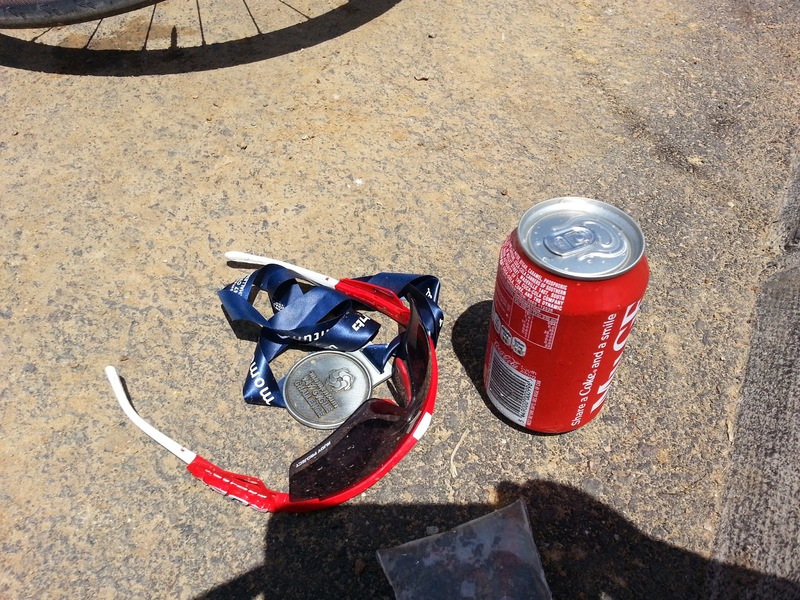 Trek to the top, Bryanston, coke and water, awesome down hill, steep climb.. Witkoppen, more suffering that felt good in some weird sadist way.. weird enough there had been no bananas at all water points today which was quite disappointing, till we turned off Witkoppen and to my left was a Du Toit box.. we all know that means bananas :), an emergency stop as i was eternally grateful to the lady, and off i was again. The Malibongwe climb was epic.. definitely felt longer than normal, at the top of this climb was a gent announcing we had 15km's to go.. hmm, Cedar then home? i thought, but no such luck, turned into lion park, awesome fast section and before we knew it, we were on Cedar Road, tired legs and grueling climb, finding my rhythm was all that was needed, young chuckle and into Steyn City we went, another massively fast section leading to a massive climb.. i must admit i didn't see this one coming... the climb was long and just so steep in parts.. as a laugh escaped my lips i realized i'd had a day and a half, and here i was, almost at the finish.. the almost finish place took very long.. patience to the top.. a young lady motivating us '1 km to go' she sang.. and we climbed for another km.. what a finish.. very happy i showed up, and persevered to the finish. The last thought i had was how we are so quick to call Metro police names yet when they pitch up to make events like this possible we hail them, but when they help on Rivonia in mad traffic its so quickly forgotten.. we all get paid to do what we do, but a 'thank you, you've done great' goes a long way.. anyway.. happy new week good people**! Daughter of The Most High**!